The holidays are just around the corner, and getting ready in advance will let you enjoy the joy of the season while others are still rushing from one store to the next. Let us help you make the planning a little easier with this handy guide to your gift list for Christmas! When choosing mum the perfect gift we always try to look for something that’s practical and sentimental. 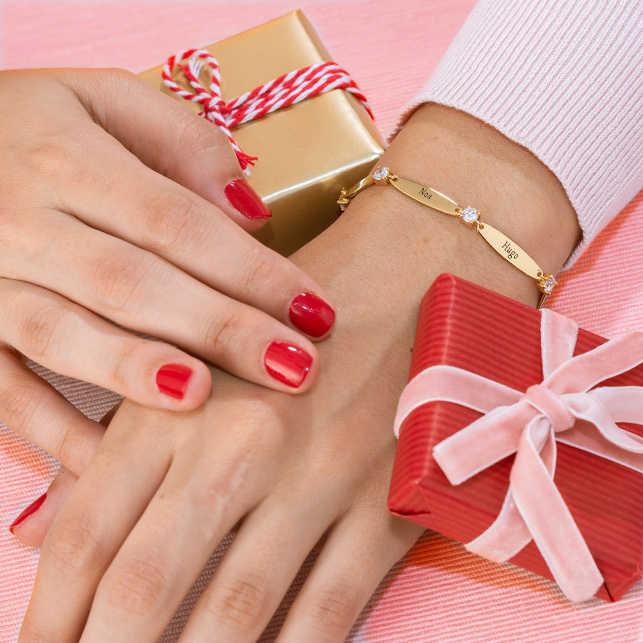 Jewellery gifts for Christmas are sure way to give mum some sparkle that comes from the heart! 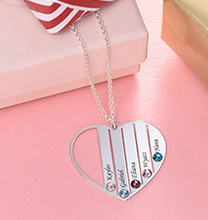 We know that no two moms are alike, and your mum is obviously the most special mum of all, which is why we have a wide range of personalised jewellery gifts for mum so that there truly is something to suit everyone! From Birthstone Stacking rings to Family Tree Necklaces and stunning floating lockets – find the perfect gift for mum that she can cherish forever! We know that you need your gift for your sister to be absolutely on point! If you’ve heard of this thing Instagram you might notice that your feeds are filled with stars and influencers all sporting personalised necklaces. 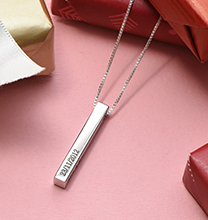 You can’t go wrong with a personalised gift from our Name Necklace or Initial Necklace Collection. You know your sister the best, keep it main stream with her given name or mix it up with a nick name, funny inside joke or the name of your pet! Popular with celebrities and designed to go with all of her favourite outfits, this gift is both fashionable and meaningful. If shopping for younger siblings, get tips on choosing the right necklace for the kids here. 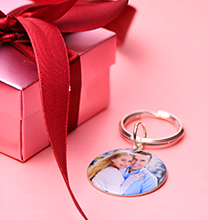 Your best friend is practically family and likely to appreciate a heartfelt token of the close relationship you share, we’re thinking an engraved necklace or bracelet might be just the way to celebrate. Better than a pinky promise, our personalised friendship bracelet and personalised friendship necklace are the perfect way to keep you and your bestie connected forever. 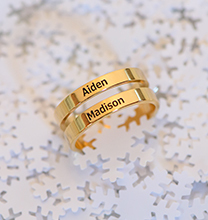 Dad has always been there for you, so give him a memorable gift commemorating the times you’ve spent together. Dad doesn’t have time to think too much about his style, but you can! Engraved cufflinks are nice for anyone who enjoys dressing up for the occasion, while ID bracelets and military dog tags necklaces make the perfect personalised gift for both the corporate and adventurous dad! Either way something personal under the tree is sure to take dads breathe away and at the very least slow down the dad jokes for a minute or two! It’s the one time of year when instead of doing all the spoiling herself, we actually get to spoil grandma (who are we kidding, she’s still going to spoil us!). While you can go for the usual scarf or a new scent of perfume we prefer to head into the personalised arena to make sure that grandma knows just how special she is! 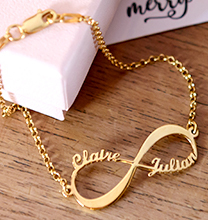 Celebrate her legacy with our Family Tree Collection or make her the most stylish grandma in town with a personalised monogram necklace. Any of these thoughtful gifts will look great on grandma and give her a keepsake she can truly cherish! Like grandma, grandpa also needs to be reminded that’s this Christmas it’s his turn to be spoilt! Find out what kind of tools, supplies, or other hobby-related items grandpa needs and pick up a few things he can use. If he’s not into reading or building things but likes to go out on the town, consider the same engraved cufflinks you might be picking up for your dad. These handsome pieces are sure to make an impression! Depending on your brother’s style and hobbies, there are many gifts that can show him just how much you care this Christmas. Concert tickets, car accessories, and electronics are a good start. For the brother that is a little more into fashion and style there is a great range of personalised accessories that not only show him you care but will also see his style take on some flare! From personalised dog tags necklaces, ID bracelets, and leather initial bracelets there really is a style for every brother so make sure you check out the Men’s Collection to find the perfect personalised Christmas gift. Don’t stress yourself out with running from store to store getting your Christmas gifts ready for the whole family! This handy guide will have your gift list perfect in no time, and then all that’s left to do is add to cart and buy! Read more about online shopping tips to stay online safe for this Holiday Season!